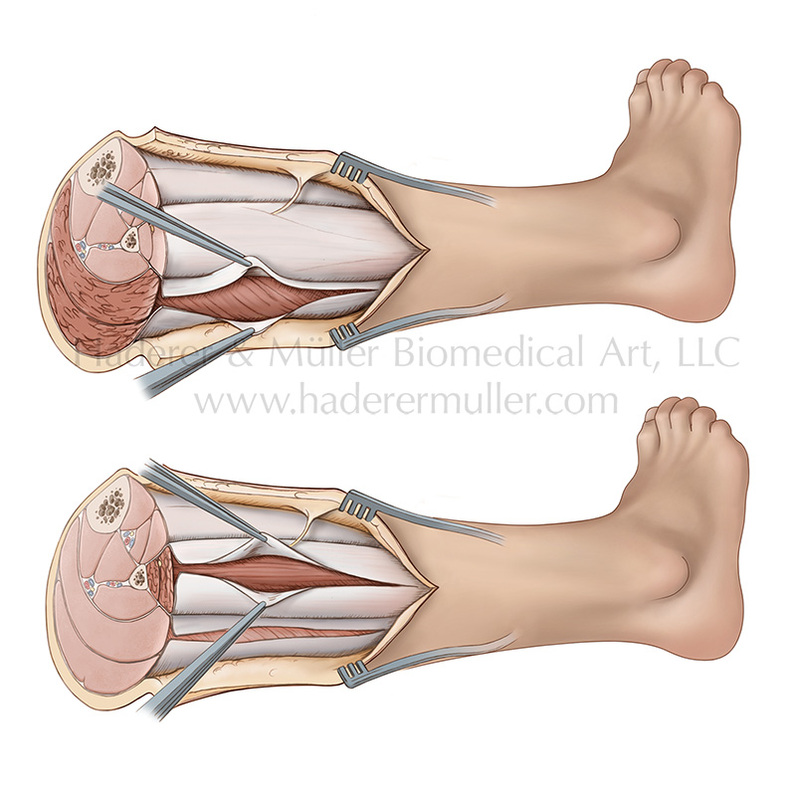 Four steps in a single incision fasciotomy for relief of compartmental syndrome of the leg are illustrated. Painful pressure building within the compartments of the leg decreases blood flow which starves the muscles and nerves in the region. 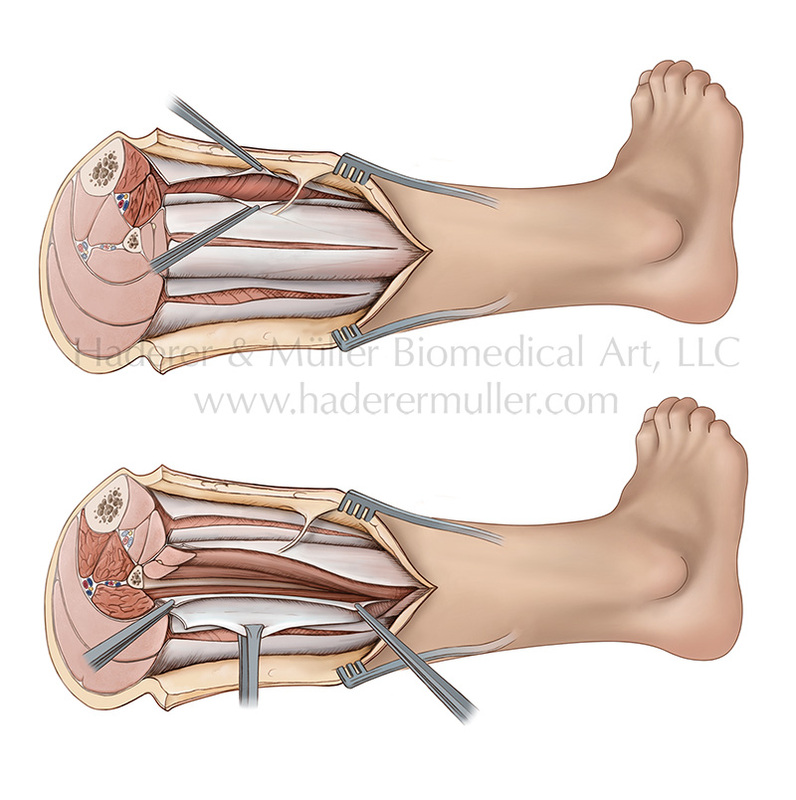 In an acute medical emergency, release of the fascia separating the compartments can restore flow of oxygen and nutrients and save the tissue of the leg.